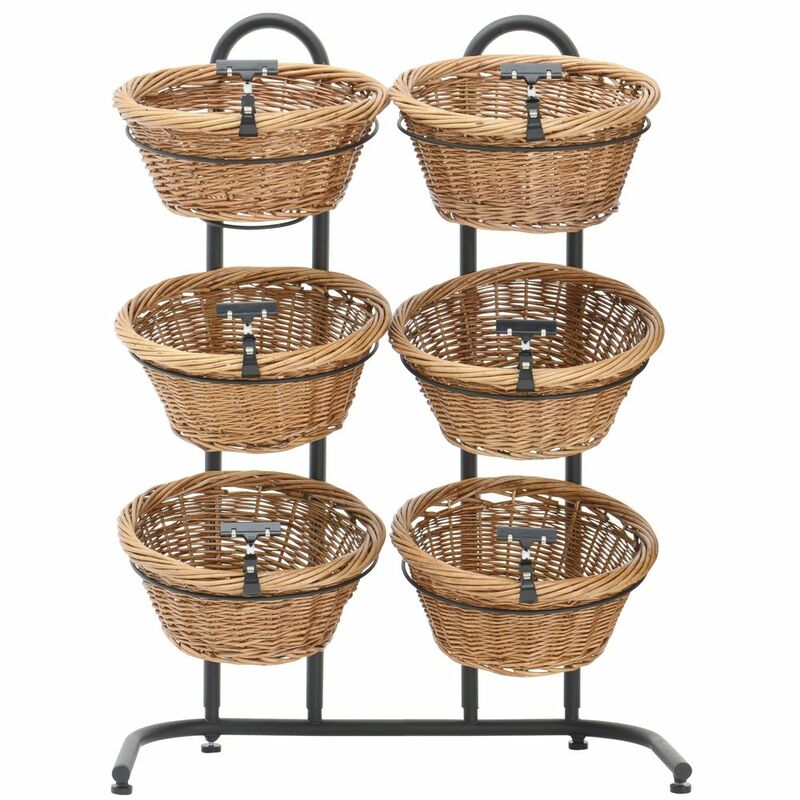 This Wicker Basket Stand is a sturdy and lightweight merchandiser that can easily be moved around to different areas of the store. The display comes with six removable baskets and a clip on sign holder for each. This Wicker Basket Stand measures 30 x 16 x 38 (W x D x H). The merchandiser provides easy access to products for customer convenience. 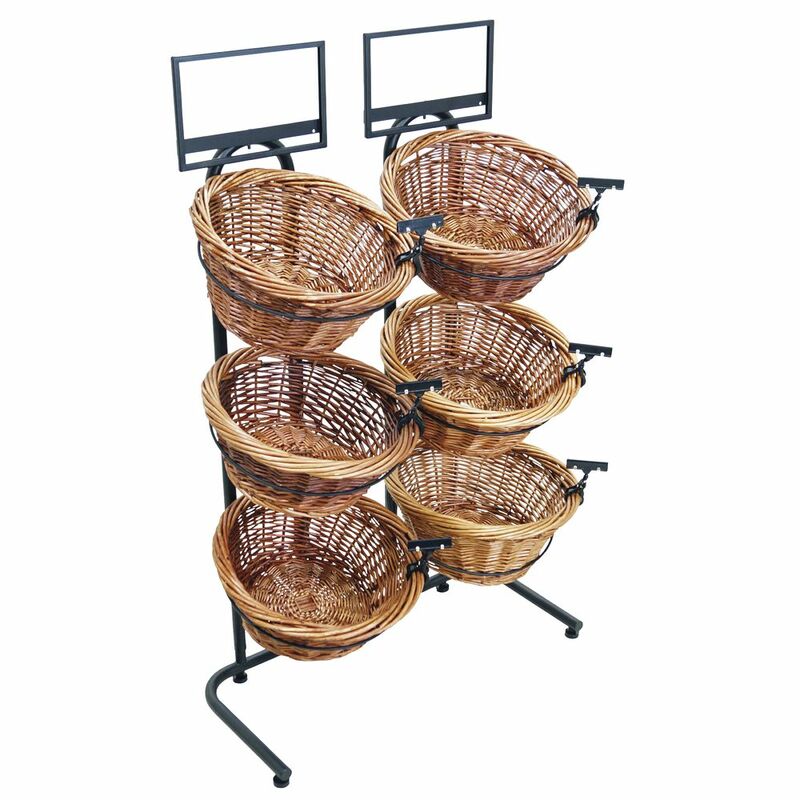 This Wicker Basket Stand will keep countertops free of clutter when used by cash registers. Also includes (2) 11" x 7" (W x H) metal sign holders for the top baskets.